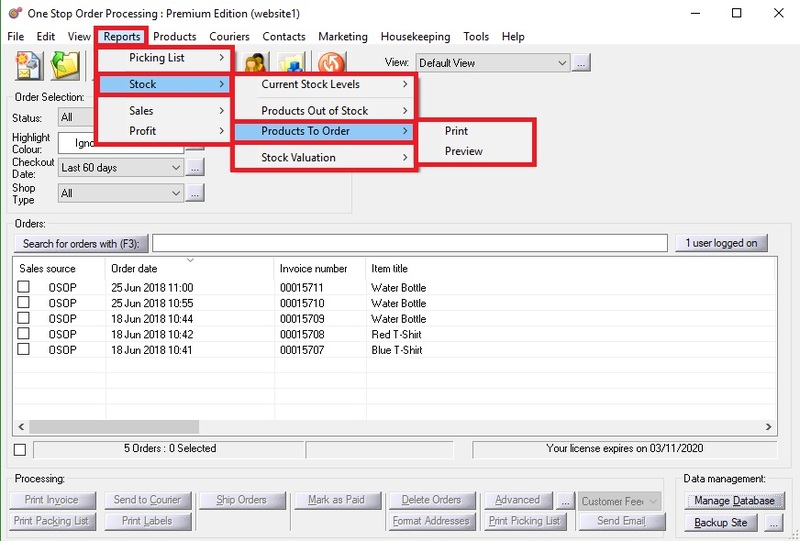 The following guide explains how to create a stock reorder report. 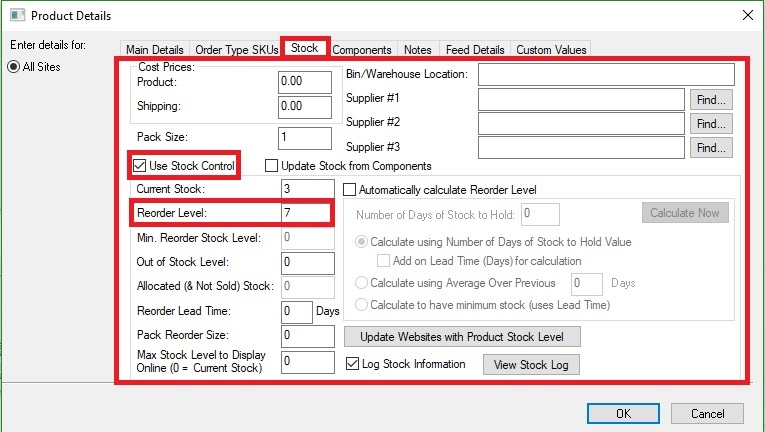 You then create two types of reports to show when a product needs to be reordered, you can either set a reorder level within the product or you can wait until the product goes out of stock to reorder it. 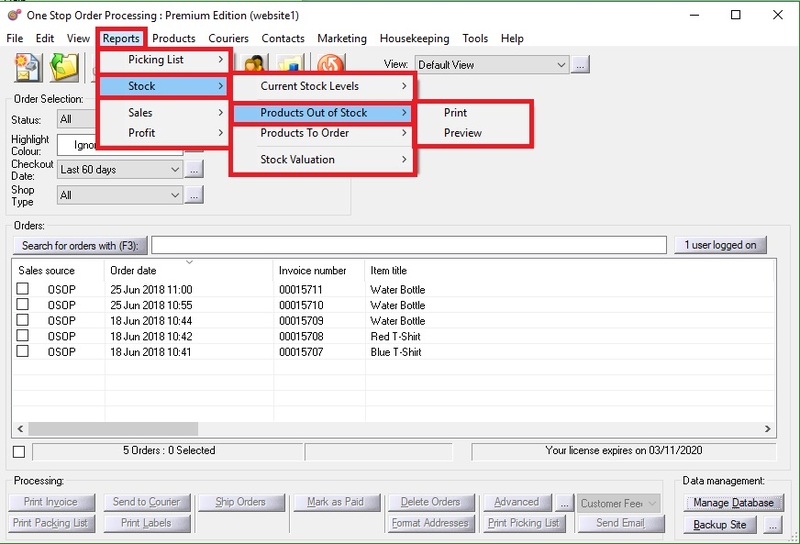 Open the product dialog box -> Double click a product -> Stock Tab -> Use Stock Control ticked -> Set reorder level. You can then either print or preview the list.